Fantastic service took less than a week to get to the UK. The tracking was the best I have seen. . Item was very easy to fit on my v3 attitude goggles and the misting has now gone away. Great products ann seller. Most importantly parcel arrived fast and in good shape. Very professional, very fast service and shipping. I highly recommend it to my friends. Thanks! Very nice product. The lens are of good quality. 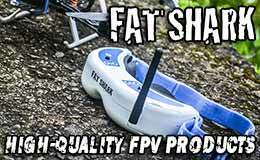 Fat Shark is known across the globe as the leading player in the FPV market. 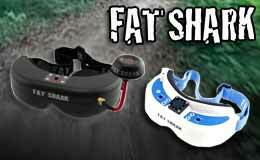 With different FPV goggle models and other accessories to hone a person's FPV experience, Fat Shark makes it so that every RC user has access to the capabilities needed to engage in the FPV experience. If you've ever wanted to see what your RC vehicle sees, Fat Shark provides that view. If you're a serious contender in the FPV market, or even a beginner who's looking for their first rig in the FPV scene, Fat Shark provides the best experience possible. The sky's the limit for Fat Shark's products.